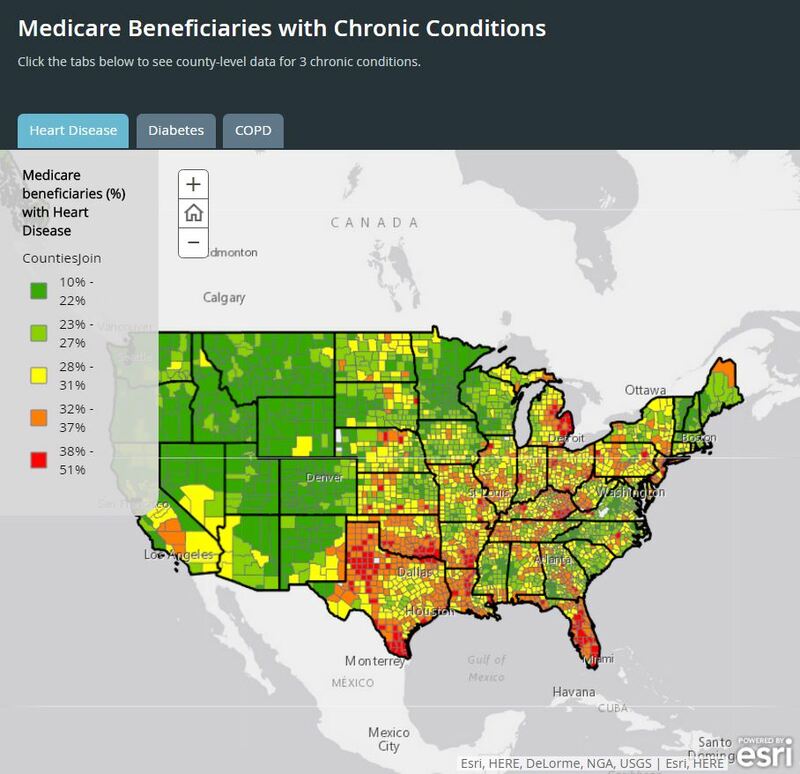 The map effectively presents a problem and encourages fellow Members of Congress to vote for the proposed solution, the Better Care, Lower Cost Act. The interactive web map allows readers to better understand research findings and compliments the report. Some have found that similar maps are effective to lobby national support on an issue or encourage a specific action. Offices are finding more and more ways to communicate Member, district, and constituent services information through web maps. For example, Congressman Tom Reed’s town hall map was tweeted out to followers in early 2016 to highlight the town halls hosted by the Congressman across the district in 2015. The locations of the 34 town hall meetings held across New York by Senator Tom Reed are displayed on this interactive map. Senator Tim Kaine shared a Virginia National Parks Story Map ahead of the National Park Service’s Centennial celebration April 16-24, 2016. 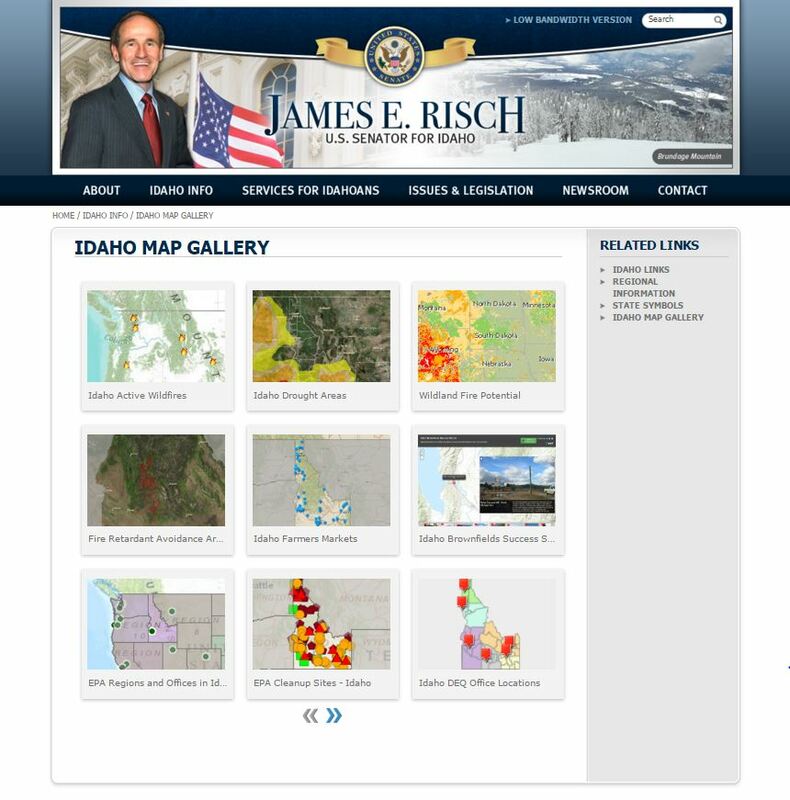 Senator Risch’s Idaho Map Gallery hosts web map services for constituents to monitor, like the U.S. Geological Survey (USGS) active wildfire map service tailored to Idaho. Esri has organized a gallery of maps created and curated by Congress here. Senator Risch’s website hosts a variety of maps for constituents to monitor. Internally, congressional staffers are using web maps to understand spatial patterns in constituent correspondence and to measure constituent sentiment. It is important for elected officials to understand what constituents are saying in their correspondence, and staffers are using maps to better understand their district and its people. To explore how GIS is being applied to policy making, visit go.esri.com/policy. For questions, or to activate your Senate Analytical Mapping System (SAMS) or HouseMAP account login, please contact policy@esri.com.